Specialising in Jewellery, Watches and Objet d’art. 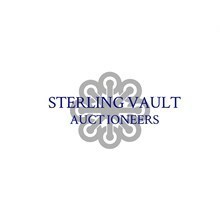 Sterling Vault rely on years of experience and a passion for what we sell. Our network of specialists enables us to market to the furthest corners of the globe to find, sell or research for our clients. We go the extra mile for our customers and aim to provide the best service possible including quick payments, the most competitive selling rates and a team of professional staff always only a phone call away.